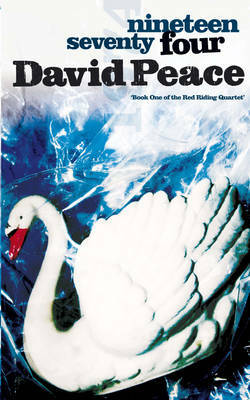 Put simply, David Peace is a genius. This novel is outstanding - both in terms of what it says and also how it says it. His interesting use of short sentences emulates the thoughts and 'general noise' that go on in your head, especially under stress, and is just perfect. As the tempo increases, so the sentence length decreases until, in places, they are just single words. Clever repetition of words and phrases also adds to the beauty of this author's writing style and makes the pace of the book even more frenetic. NINETEEN SEVENTY FOUR (Peace's first novel, that is being republished ten years after it was first released) is highly addictive. Its electrifying storyline is based on a clever mixture of fiction and fact. Little girls are being abducted and murdered. Edward Dunford, North of England Crime Correspondent for the Evening Post, is sent to cover the story of the latest missing girl. He is hindered every step of the way by the police and corrupt 'others' who are more interested in themselves and their money than discovering the truth. People start to die around Eddie while he himself is threatened and even physically attacked. Undeterred, he continues with his digging and uncovers a sordid side to 'respectable' society. He is soon in too deep to back out and, despite losing his job along the way, he continues - knowing that the end will not be good for him, whatever happens. A beautifully written and chilling debut novel that firmly establishes David Peace as a master wordsmith and crime fiction aficionado. This is another author to be added to your 'must reads' for 2009. He is already near to the top of my 'Top Ten Favourites'! Read another review of NINETEEN SEVENTY FOUR.